But that doesn’t mean I am in a state of rapture. In many ways this was a show that brought me to far extremes of response, all in the context of acknowledging the enormousness of De Kooning’s influence on the flow of art in my lifetime. He was the primary influence on most of my art teachers in the 1970s, and coming to terms with his work has been a consistent theme in my artmaking life. Some of these works were so breathlessly exquisite I became faint and had to sit down (like the cases of the “Uffizi effect” reported by James Elkins in his book Pictures and Tears.) 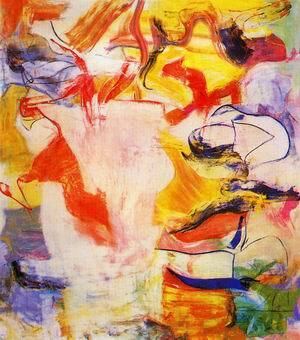 But other paintings were frustrating and exacerbating. In these early pictures, you feel him wrestling with problems of space, trying both to compress it and carve it out, now with line, now with color, now with the paint’s facture (its surface qualities), with erasures and ghost contours, with smudges, scrapes and swipes. There’s a profound awkwardness to the results. But you know as you look at these works that the artist is in the grip of something, and murderously close to finding it. 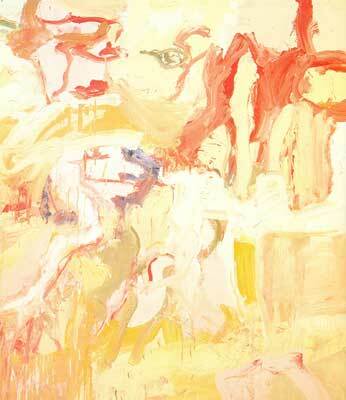 Can you love #deKooning – really LOVE him – as I do, without loving Woman I, II, II, IV, and V? My dilemma, my pain. But the high points in this exhibit are high. So so high. Rosy-fingered Dawn at Louise Point. Montauk I. Pirate. Untitled, 1977 (owned by the Mnuchin Family.) The way those paintings made me feel is so exquisite that I will have to come back to see the show again before it closes in January. Too many people, when they think of de Kooning, seem to bring to mind only the “Woman” series, which I think are ugly paintings, if also bizarrely fascinating. I couldn’t live with one of those on my wall. 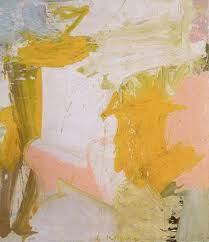 I have been very drawn to de Kooning’s work from the ’60s, and also to the paintings he did toward the end of his life, which, to me, display an eloquent sense of freedom, of something being let go but without fully losing semblance of form. I thought Charles Kessler’s piece at Left Bank, “De Kooning and the Figure/Ground Dilemma” was insightful; also his look at congruences with Marden. Yes, I found Charles’ piece very good. The figure/ground struggle is so apparent in the first half of the show, and then it seemed to fall away as a primary concern. Thanks for your comment, valuable as always.